Matt is a very rebelous person. He doesn't do what others want him to do. He does what he likes. Matt is also a very caring brother for T.K. He thinks that his only purpose is to protect T.K., but learns that T.K. has grown up and can take care of himself. Matt has the crest of friendship, for being a great friend to all the other kids including Tai even though he doesn't think so. 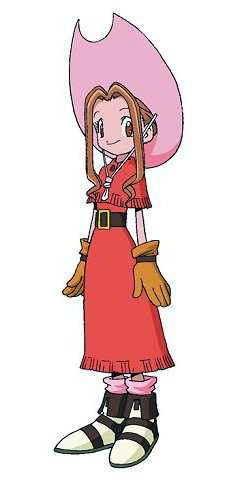 Mimi is the spoiled one of the digidestined. Her favorite color is pink. She is constantly complaining about how hot and tired she is. Her favorite place to go is the mall. But once the kids got to know Mimi, they saw that she wasn't all spoiled. She was really a nice person to talk to. Her crest of sincerity fits her well because she really cares about the other kids in the group. 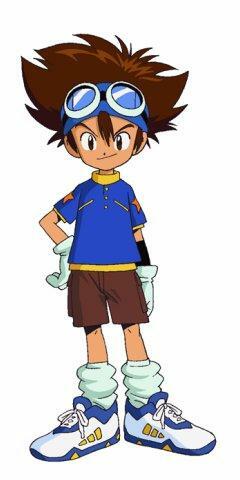 Sora looks like one of those tomboy girl but in reality she is sweat loving person. She takes care of all of the others. She thought her crest of Love didn't symbolize her because she thought she didn't know any love cuz her mom didn't give her any love. Later she found out that her mother loved her and wanted to protect her. Joe is the oldest of the children. He is always complaining about something like his allergies. He is a pessimist and loves to worry. He is always looking at the down side of things. He may act like a coward sometimes but when his friends are in trouble they can depend on him. His crest is Reliability. His digimon is Gomamon. 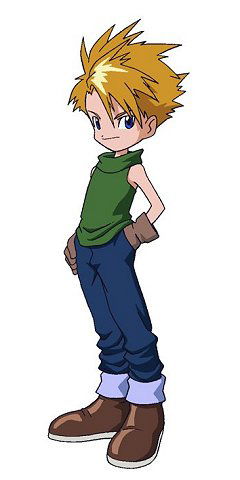 Kari is the eighth digidestined. She was the eighth child that Myotismon tried to find and destroy. She is Tai's little sister. She was suppose to come to camp with him in the first place but she was sick. Although she is very young, she knows how to take care of herself and isn't a crybaby.